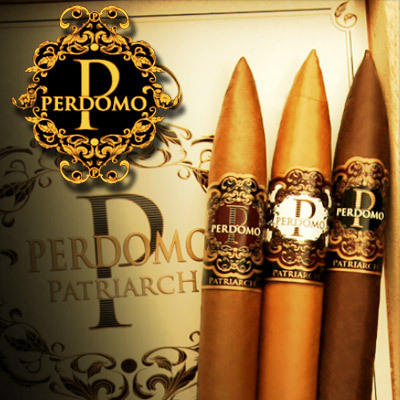 In honor of the late Nicholas Perdomo, Sr., the Perdomo Patriarch cigar has three (3) wrappers, all with that notorious Perdomo smoothness you have come to expect. • Patriarch Corojo: Is a Medium to Full-bodied cigar, that maintains a long, smooth finish with its cedry and nutty flavor. It also has a very nice, spicy oak flavor that you will come to love. • Patriarch Maduro: Is also a Medium to Full-bodied cigar, that unlike the Corojo, is more naturally sweet than spicy. It is very balanced and robust, you'll love it if you haven't already smoked one.